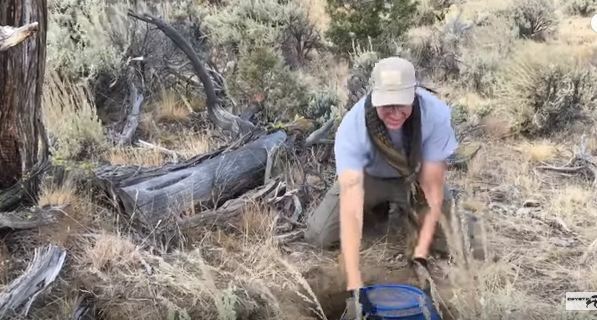 (Video) Man Dug Up His Bug-Out Cache After a Year of Being Buried. Let’s Find Out What Happened to His Supplies! It's a common practice and a necessity for man to have a stash of food and other supplies ready to go for a disaster. Whether the supplies are kept in a bunker or at the homestead, it's still vital for the supplies to be ready whenever a collapse takes place. We must also make sure our food and supplies are usable when a collapse happens, which means regularly checking up on the supplies. No one wants to eat very expired food that could potentially make them sick during a SHTF situation. One man decided to put his supplies to the test by burying them underground at an undisclosed location for a year. His goal was to see how they would do, thus learning how improve his food stash and be ready to deal with a SHTF scenario. During the video, this prepper decided to unbury his bug-out cache after a year and when we saw the condition that his supplies were in, we were rather shocked. We all need some pointers as to how to keep our stockpiled food in excellent shape, so this video is a must-see! 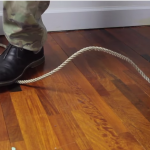 After the break watch the video to discover what this man learns from burying his food in a cache for a year.